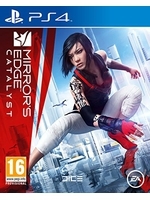 Mirror's Edge: Catalyst is now available to EA Access subscribers on PC and Xbox One. We had to pay to get our hands on both versions, but at least we can now propose a few videos captured on PC. As you'll see, the latest Nvidia drivers have not fixed the lighting bug SLI owners encountered during the beta, but we can reasonably hope it will be the case for the game's release. Miguel is going to capture some footage on Xbox One as soon as possible, so stay tuned for more Faith acrobatics. Enjoy the videos! Note: Videos were captured on ultra instead of hyper by mistake. We might be live tomorrow if I can make it, so we'll be able to tell you if it gets better or not. For the moment, it's not shaping up to be a must have in my humble opinion, but it's really too soon to be sure. From everything I've seen, I'm really liking the game so far. If you decide to do a livestream tomorrow, could you try doing some alternate routes? I know you only have 6 hours of gameplay and if you try a different route and then fail, it's time wasted, but it would be nice to see you tackle different routes instead of just following the red markers. In no way, shape or form am I trying to tell you how to play a game, I just would like to see some alternative routes. I feel that Mirror's Edge - and Parkour - are at best when you use creativity and all the freedom that you're given to do all these incredible manouvers and routes. In one of the challenges, if I'm not remembering incorrectly, you achieved a 41 seconds run and earned a 2 (out of 3) stars rating, which is not bad. But when you brought the users' results screen up, it showed that another user had done it in 22 seconds. I'm the type of player who would love to know how that user achieved such a score, what route he/she took and see if I could beat it. I'm not a very competitive person, but I just find things like that interesting, like a personal challenge type of thing. While watching all the videos, I kept thinking that one of the first things I would do would be to turn off those red markers pointers and just figure out my own way to reach an objective by exploring. I believe it would be more fun this way. Also, if you mix up things a little when you go to the same area - like meeting Birdman - you might shake off the feeling of doing the same thing multiple times. Since each time you take a different route, it will be like exploring and reaching a new area - which I love doing in games. Anyway, even if starting out Faith doesn't have many parkour moves, I would still love to see some more freedom in how you reach an objective. Like I said, I think it might make things a little bit more interesting. Cant believe the crappy BattleField 4 is from the same studio. Do they know how to make games other than Parkour? It gonna be so great if DICE treat their game titles with same standards. Deactivating the red marker doesn't really work in this game, because then, you can't really tell which door can be opened or not for example. On top of that, everything looks similar (though actually, it's just that the first zone is so small that you keep going through the same areas over and over again - which can be seen in the videos if you pay attention). So far it's been a disappointment to me, including the story and the characters. I had thought that it had a few options to choose what markers to leave on or off. I'm actually surprised that no one at DICE thought of this or didn't think it would matter for a lot of players. Reminds of KORNdog's post where I asked something similar about Hitman's Instinct mode and the answer was the same. It's really sad that a lot of developers nowadays don't even think of giving more options to customize what is basically "assistance" or "hand-holding", it's basically "everything on" or "everything off" with no middle ground. If the game's design actually supports it, then it's not a problem, but that's rarely true. In this case I can see how not knowing which doors can and cannot be opened would lead to a lot of frustration, since you don't want to waste your time trying "every door" hoping to find the right one or worse, fail over and over at a timed mission or challenge because of it. Hopefully, DICE adds these settings with a patch, like Ubisoft did with Far Cry 3 to be able to choose which HUD elements to leave on or off. So far it's been a disappointment to me, including the story and the characters. 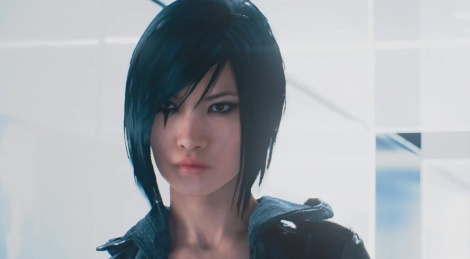 So far I've been on the fence about ME2 because of questionable changes and recent EA history, but the itch for Mirror's Edge is so strong I've actually considered buying it. But if even Driftwood is disappointed... Ho! No way hose, they really did an awful job then. That made me feel sick just watching it. Shame, it looks very nice. Considering the very few games I really enjoy playing these days, that's very ironic. The 1st Mirror's Edge was perfect and super UNDERRATED. This new one looks fantastic but doesn't have a soul, and this is just my opinion, hopefully i'm wrong. What settings is this on? Hyper?